Today marks a momentous milestone for the wireless industry: the finalization of the 3GPP Non-Standalone (NSA) 5G New Radio (NR) Standard. The formalization of the NSA standard anchors the coming Standalone (SA) version and represents a remarkable step forward for the industry. With NSA 5G NR, players across the ecosystem for the first time have rallied around a single internationally recognized specification for 5G radio systems. It provides the technological foundation for the industry to begin testing and commercializing the next generation of wireless services and devices. I’d like to congratulate the parties that contributed to the development of this standard, setting the foundation for an interoperable global marketplace ripe with economic opportunity and technological possibility. As I commented in the related news release, Intel participated in the process, working closely with mobile industry leaders to support the standard and accelerate the first NR trials. Many of the early use cases will fall into the realms of enhanced Mobile Broadband (eMBB), the Internet of Things (IoT), as well as Vehicle-to-Everything Communications (V2X). Intel has already been innovating in many of these segments, conducting field trials with the Intel 5G Mobile Trial Platform (MTP) and the Intel GO 5G Automotive Platform. To prepare for the specification finalization, we have to be two to three years ahead of the standards when it comes to gathering key learnings about use cases and their related performance requirements. Intel is proud to have contributed to the development of NSA 5G NR with proprietary research, reference designs and insights from a range of trials. Intel’s many contributions spanned the specification, including coding, error correction, modulation, spatial sub-channelization, beamforming, reference symbol designs, radio link adaptation and more. Intel also produced prototypes for use in the testing of pre-5G standards, including 5GTF. Those system stacks were, in essence, the parents of NSA and SA 5G NR – providing evidence of what was possible and informing the standard’s specifications. During this process, we collaborated with industry innovators like Ericsson* and Nokia, and leading operators like AT&T, Korea Telecom, NTT Docomo and Verizon*. We’ve rapidly evolved our MTP in lockstep with progress of the NR specification, preparing it for the finalization of the standard. It’s NSA 5G NR-ready, giving equipment manufacturers the platform they need to test interoperability and operators the ability to simulate real-world use cases. Powered by high-performance Intel FPGAs and Intel® Core™ processors, the MTP will have a key role in informing the pending SA standard within Release 15 in June 2018. We already have several NSA 5G NR trials lined up using the MTP alongside our 5G RFIC supporting sub-6 GHz and mmWave, and our 5G RFFE for operations in the 28 GHz and 39 GHz bands. The learnings from our interoperability testing and real-world trials are foundational for our first commercial NSA/SA 5G NR-capable multimode solutions, the Intel® XMM™ 8000 series modem, with customer devices expected in 2019. These solutions will support a variety of use cases, including PCs, mobile phones, fixed wireless CPE and even vehicles. Of course, it’s important to remember that as momentous as this occasion is, it’s really just the beginning. With this common standard in place, now is when the real innovation begins. I anticipate that the 3GPP Release 16 is when we’ll begin to see the promise of 5G come to life – immersive digital and media experiences for mobile consumers, low-latency connectivity for machine-to-machine use cases, ultra-reliable communications for mission-critical applications – all delivered at a lower cost-per-bit for mobile operators, and with global economies of scale for manufacturers. When that day comes, Intel will be ready, as we were today, to enable the industry and realize the future of 5G, with end-to-end solutions from the network, to the cloud, to the client. 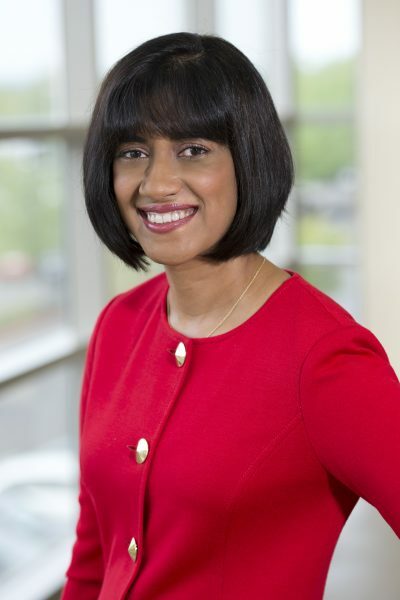 Asha Keddy is vice president, Client and Internet of Things Businesses and Systems Architecture, and general manager, Next Generation and Standards, at Intel Corporation.